Busy campaign trail makes BM Fariñas shower outside! Talk about a busy campaign! Ilocos Norte 1st District Senior Board Member Ria Fariñas is loving the campaign, even if it means having no access to a proper bathroom from time to time. 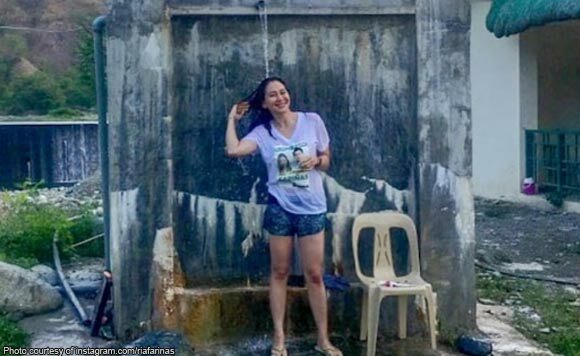 On Sunday, April 14, the politiko posted a picture of her showering outside what appears to be a water container. Fariñas, who is running for congresswoman, was wearing her campaign shirt while taking a bath. “Day 17 of the campaign trail be like #RangayItiAmin,” said Fariñas, who used a bunch of camping-related emojis.